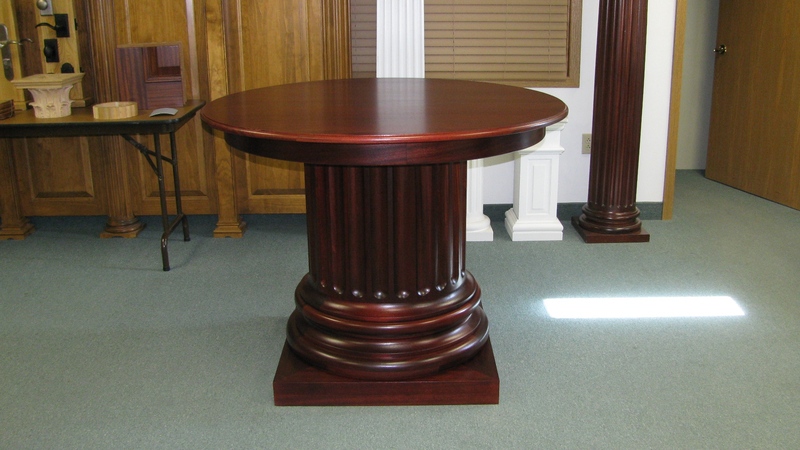 Columns as tables – Somerset Door & Column Co.
A column is typically used to support a ceiling, porch or for purely decorative purposes. 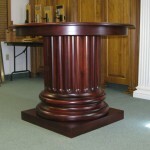 While those are all very good uses, Somerset Door & Column Co. has another option~ a column table. 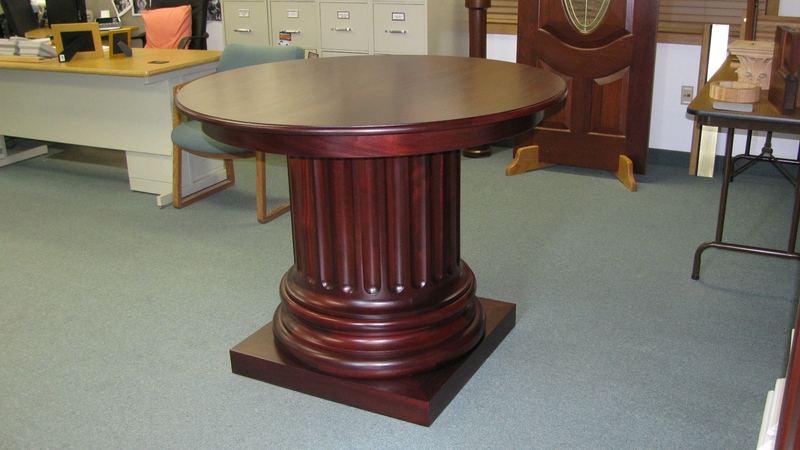 This table is crafted of African mahogany. 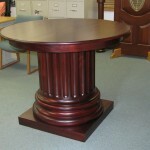 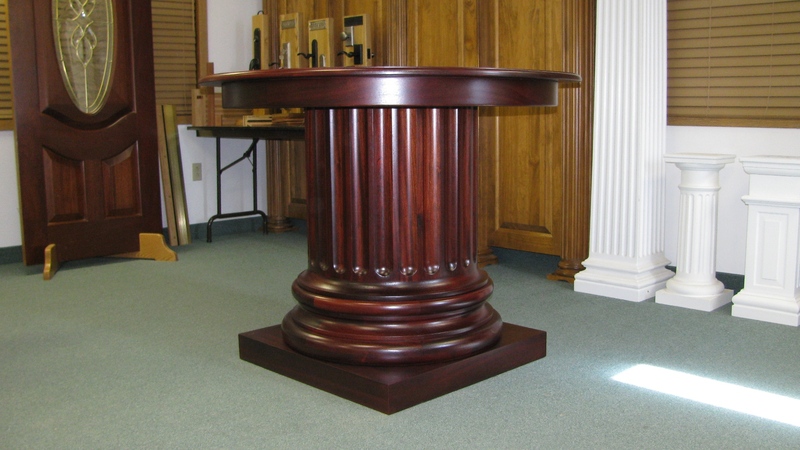 The table is 48″ in diameter with 24 flutes and features an attic base. 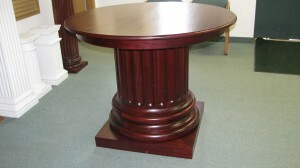 It was finished using a red dye stain then a red mahogany stain and polyurethane. 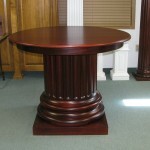 Ideal for a hotel lobby, this table makes a statement without saying a word.